of cloud that consistently worries IT and security professionals – how to achieve high levels of security in the cloud. As cloud adoption increases, the fears of unauthorized access, stolen identities, data and privacy loss, and confidentiality and compliance issues are rising right along with it. 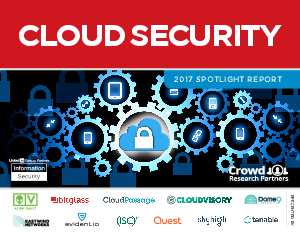 responding to the security threats in the cloud and what tools and best practices IT cybersecurity leaders are considering in their move to the cloud.